While not officially a Down Wind Sports event, our staff does help plan and organize this amazing event. 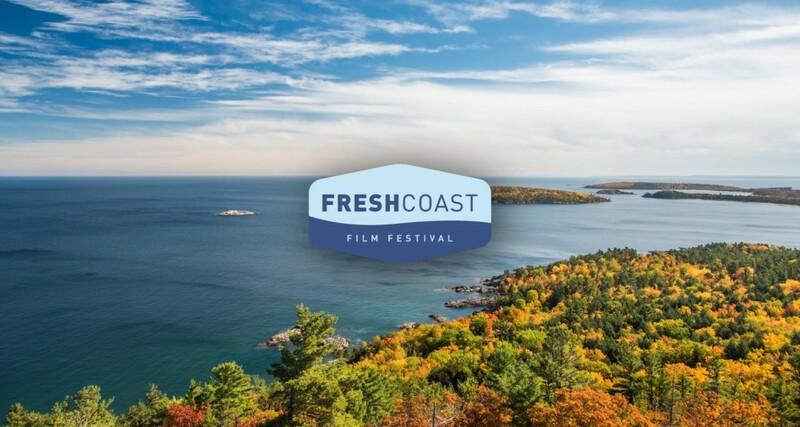 The Fresh Coast Film Festival is the first of its kind: a documentary film festival celebrating the outdoor lifestyle, water-rich environment and resilient spirit of the Great Lakes and Upper Midwest. The festival will gather the best in adventure cinema from around the world while creating a venue for, and building a culture of, Great Lakes storytelling. Fresh Coast will be held annually in October during the height of fall color season in the Lake Superior harbor town of Marquette, Michigan. Here the waves of an inland sea crash on the bedrock remains of the ancient Huron Mountains. A red lighthouse winks across the water at thousand-foot freighters slipping through the fog. Singletrack trails link a historic downtown with world class mountain biking, trail running and waterfalls. After a day of play, a vibrant brewing and dining scene rewards hard work with ingredients and inspiration drawn from the crisp clean waters of the world’s largest body of fresh water, Lake Superior. We think you’ll like it here. For filmmakers and students Fresh Coast will mean an opportunity to interact with environmental thinkers, outdoors athletes and media professionals working in the outdoors industry. Who you know is as important as what you know and Fresh Coast is THE place in the Midwest to connect. A key component of the Fresh Coast experience will be guided outdoor activities to introduce visitors to the outdoor playground of the Marquette area. Rock climbing, fly fishing, sea kayaking, waterfall hikes and mountain bike rides will all be offered as part of the Fresh Coast weekend. So please join us for a weekend of storytelling, learning and outdoor recreation like no other.